COAT is the honest and emotional story of Junior, born in Nigeria he leaves at the age of 9 and heads to London leaving behind a life that he loved and was settled in, written by Yomi Sode. 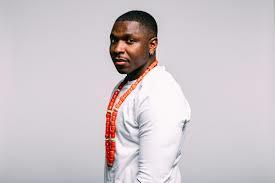 Yomi is a Nigerian British writer, performer and facilitator. 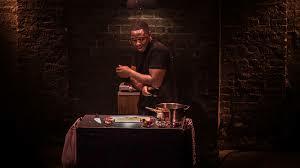 Shortlisted for a Jerwood Compton 2017 Poetry Fellowship, his show Coat has been programmed at the Southbank Centre and Roundhouse to sold-out audiences. His writing has been published in Rialto Magazine, Bare lit and 10: Poets of the New Generation. Standard price: £7.50. Group bookings of 10+ priced at £5 per person. Warnings: This show contains some strong language and themes and sexual references. Yomi Sode is a Nigerian British writer, performer, facilitator and Complete Works Alumni. Shortlisted for the Jerwood Compton 2017 Poetry Fellowship, he has read poems at Lagos International Poetry Festival, Afrika Fest with Speaking Volumes in Finland and at the New York Public Library with the British Council. COAT, Yomi;s first one man show, has toured nationally to sold-out audiences and he is currently working is his first poetry collection. In 2014, with a place on Nimble Fish’s RE: Play programme, he began developing his debut, one-man show and in 2017 all 4 performances of COAT at Roundhouse sold out within 24 hours. First presented as part of Last Word Festival, COAT was programmed again in October 2017; due to popular demand a 2nd date was added and sold out within 6 hours.